From the very first episode of ‘Battlestar Galactica,’ you could feel a change in the future of music for Television. I remember the thoughts going through my head at the time; “well, that’s different.” And it was. If you say science-fiction to someone, they think immediately of grand brass fanfares, yet what Bear McCreary did with ‘Battlestar Galactica’ completely changed our perspective on musical genres, by going in a more intimate direction, and showing us first hand that if you take an unexpected path, it can yield revolutionary results. Since then, he has journeyed his way through the Television world, becoming its most prolific and versatile Composer. From the eerie atmosphere of ‘The Walking Dead,’ to the period accuracy of ‘Black Sails,’ Bear has submerged his mind into practically all areas of storytelling imaginable, and come out the other side as a master of his craft. One of the contributing factors to his success of continually surpassing our expectations, is that of his passions and interests. They don’t necessarily match with the overall consensus. When I got the chance to talk with him last week, he told me about this, and how he has evolved throughout his time in Television. I grew up adoring Scottish folk music and folk instruments. I attended the Highland Games every summer when I was growing up. So it was always part of my musical DNA, of my musical background. The harmonies, melodies and nuances, as well as the energy and romance in that music always spoke to me and always influenced me on a fundamental level. However, as I worked my way into the entertainment business and started scoring Film and Television, I found that most producers didn’t want to hear Scottish music, in-particular Bagpipes in their projects. It wasn’t long though until Bear found himself scoring a certain critically-acclaimed Television Series, which was run by someone who shared his view of diverging from the norm; Ronald D. Moore. 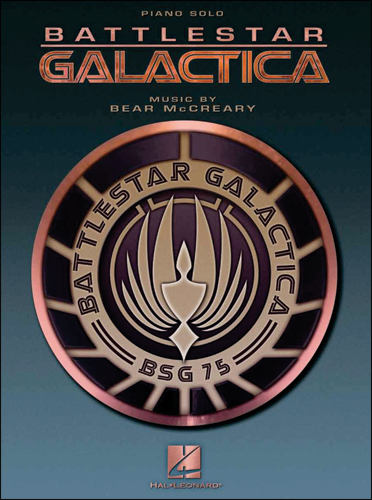 The songbook containing many Piano Solos from Battlestar Galactica. I got very lucky with my first project being ‘Battlestar Galactica’ for show-runner Ronald D. Moore, because we actually got to use Scottish instrumentation for a primary theme in that show; the Adama Family Theme, which was introduced in the first season and played all the way through to the end, and became a bit of a fan favourite. That was my first major job and my entrance into the business, so I think I was spoiled a little, because I started thinking “oh, everyone will want bagpipes,” but that’s not true. As he progressed into Scoring other Television series like ‘Eureka,’ ‘Human Target’ and ‘Terminator: The Sarah Connor Chronicles,’ he would explore action and adventure, stepping away from his Celtic roots. But he would inevitably return to them in the best way possible. Fast-forward to now, and when Ron, the same producer from Battlestar, then created ‘Outlander,’ suddenly here is this show that necessitates that Scottish folk music approach. I was thrilled that he asked me to be a part of it because it allowed me to draw from all of those sounds and influences from my childhood. In many ways, how I write ‘Outlander’ is that I kind of disappear into myself and try to draw from this very deep well of the music I grew up on. It’s such a natural process. I feel like it’s a score I was meant to write. You can get a beautiful idea of the love he has for Celtic music below, where he personally performs the ‘Adama Family Theme’ from Battlestar Galactica. 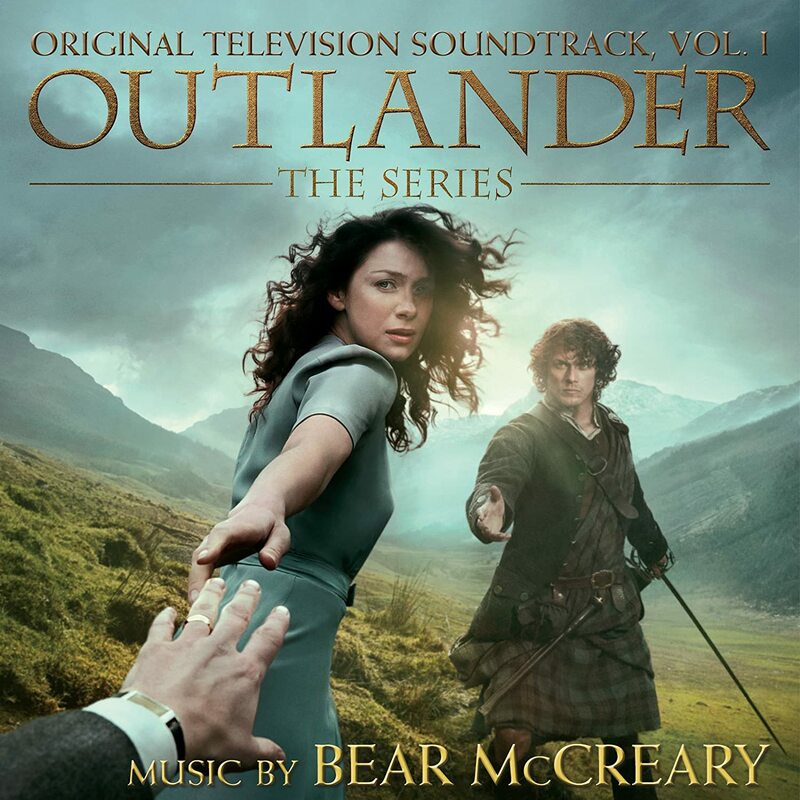 Recently it was announced that Bear has been nominated for an Emmy Award for his music to ‘Outlander’ (Vol. 1 and Vol. 2 of the Soundtrack are both available for purchase). He has previously been nominated for ‘Human Target’ and ‘Black Sails,’ and has won for his Main Title Theme from the series ‘Da Vinci’s Demons.’ So naturally I wanted to discuss more in-depth about his music from his most recent nomination. I’m not thematically as literal with ‘Outlander’ as is needed on other shows perhaps. There is definitely a theme for Jamie and Claire that functions in different contexts depending on which of them is the protagonist in a scene, because they’re sort of twin protagonists as the show goes on. 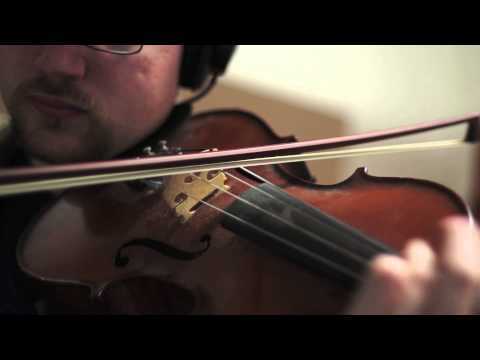 Then I use a lot of Scottish folk music to set the tone, and then other subtle themes come into play throughout. But I also wanted ‘Outlander’ to be more of a tapestry of colour, tone and mood. I know how many characters are in the show and I know there’s just going to be more and more. So Ron and I decided that a simplified thematic approach would be the way to split the difference. We have themes for the primary characters and primary story arcs, but if I decided to write something specific for every character who had a role in the show, it would be so confusing that no one could keep it all straight, and then what’s the point? Now that we had established his foundations on ‘Battlestar Galactica’ and his approach to ‘Outlander,’ I wanted to gauge his musical sensibilities elsewhere, and how he seems to excel at finding the right sound for something. 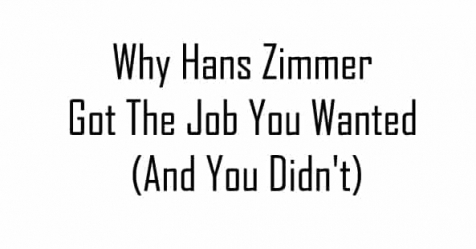 I was curious to find out if that talent came simply from exposure to a project and subsequent experimentation, or whether he had a particular process that he goes through in the beginning. Thematic writing to me is one of the most vital tools that a Composer has, especially in television. You could be scoring eighty to a hundred hours of story if you’re lucky. That’s a long time. So themes are a way to, not only guide the audience along a macro view of the journey, along the big picture, but also for the composer as a shorthand; to know certain pieces of musical information immediately as a theme starts. A show that I’ve done recently, that’s probably the most thematic is ‘Da Vinci’s Demons,’ where basically every single character had a theme. So as soon as I spotted any scene, I would say “Okay, there’s this character and that character, so I’m going to use their themes together here. And then a new character walks in and their theme comes into play.” It was a very operatic and literal approach that answers so many quick questions about melody, harmony, rhythm, and most of those fundamental building blocks of music. Then as the show moves forward, you get to shape those themes into the emotional variations that they need to tell that story. Throughout my many years listening to Bear’s music, I have definitely noticed his skilled use of the leitmotif method, but I wanted to see if his way of guiding the audience with themes, applied to other projects he had done, whether it be in Television or Film. In other shows and films, the first thing that comes to my mind is a texture or a sound. For example, I did a movie called ‘Europa Report,’ which is a science-fiction film about the first manned mission to Jupiter’s moon of Europa. And it ultimately had a beautiful theme; a really nice piece for orchestra and piano that I am very proud of. But it wasn’t the first thing I heard. The first thing I heard when I thought about that movie was deep pulsing basses and icy-cold textures, as well as some strings and chords that felt emotional. That’s how it generally works. I just have a vague cloud of ideas that I think about for a couple of days or a week if I can get it, and then when I sit down; the spark will happen. But every project is different, and it really depends on what strikes me. 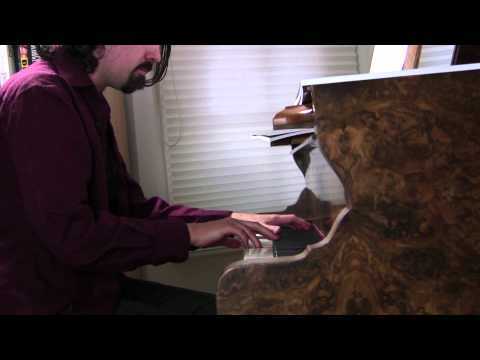 One of the most important aspects of composing has nothing to do with music at all. It sounds strange to say that, but it is true. You can write all the music you wish and then cover a Film or Television show with it, but it will be a disaster if you don’t know when to step back and let the silence do the talking. Bear has mastered this technique in the hugely successful ‘The Walking Dead.’ He explained how the format of the show came to be. That was a deliberate decision by series creator Frank Darabont and myself, when we were scoring the first episode. 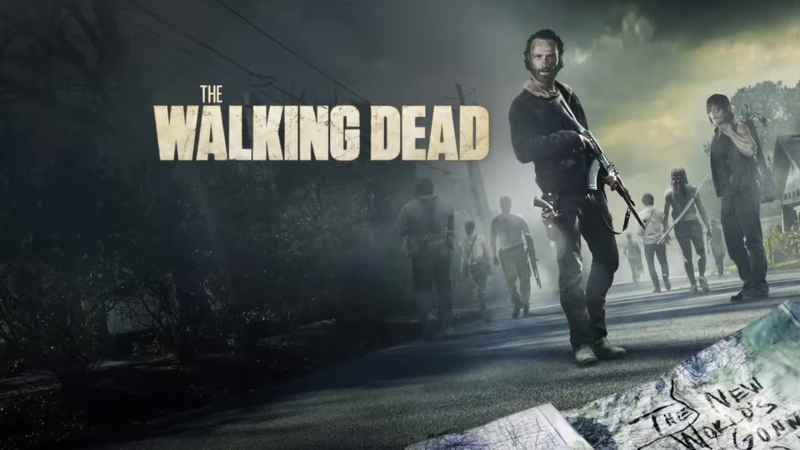 I think the first episode of ‘The Walking Dead’ is a case study in how to use musical minimally. It’s ninety minutes long and has around fifteen to twenty minutes of music in it. Very light. What happens by doing that is the audience gets lulled into the sense of silence, and it brings the dynamic down on the score in general. So now when music comes in, even a single piano note, it’s so quiet and breathy and ethereal that it almost sounds like it’ll break. So as a result, the audience immediately reacts to it. They sit up in their chair because they know something big is happening. We decided to do that because we realised that if there was music throughout the whole show, then all of those key moments would need to get louder and louder. I’ve described it, especially in the horror genre, as an arms race. For example, in the 1970’s you had really cool, tasteful scores like Jerry Goldsmith’s ‘The Omen,’ and the way music was used in ‘The Exorcist,’ but then throughout the 1980’s we started getting more music, and it started getting louder and louder until now when you want to scare somebody, you have this huge orchestral sting that just destroys the world, because people are just used to it. They’re ready for it. They’re expecting it. So when you fast-forward through a couple of decades of this approach, you have Frank and I looking at ‘The Walking Dead’ and realising that you just can’t do that on a TV series. Anyone who is a fan of horror films will understand completely why Bear went in the direction he did. As he said, decades ago it was all about atmosphere and silence, where today it is all about jump-scares that contain hardly any terror at all. Of course there are some exceptions, but the overall trend has gone that way. We continued to delve into the world of horror and how exactly Bear manages to scare us half to death while breaking our hearts in equal measure. So how do you scare somebody these days for what will soon be our 68th episode? We realised that in order to sustain the scares, we had to scale back so far that we could do it quietly. I’m so grateful for Frank’s insight in thinking ahead like that and to start the series in such a way that we were so subtle and sparse, and that ultimately allowed the show to grow organically. It gave me the chance to write things such as the Governor’s pulsing theme, which would only exist in a show where we started at a very reserved place. You picked up on a couple of themes that are very subtle in the grand scheme of things. 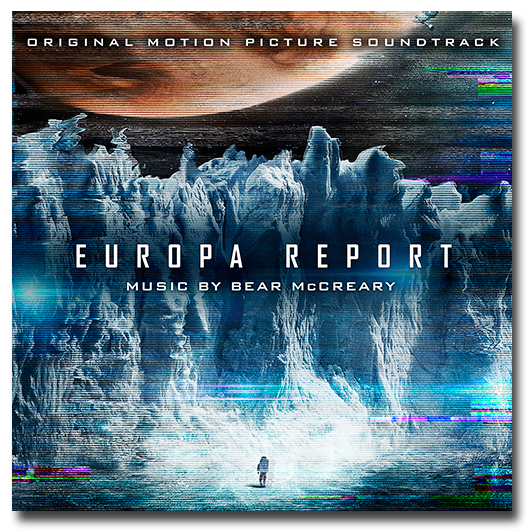 And just as I was describing with ‘Europa Report,’ the Governor’s theme in ‘The Walking Dead’ is a texture, a colour. It tells you how important context is, because in the context of ‘The Walking Dead,’ the score is very minimal, so a theme like the Governor’s stands out in a huge way, because there’s nothing else like it. And those few simple piano notes for Carl as well; they stand out. I’m very careful not to over-score. I’m always making sure that I’m doing the lightest touch I can to have the biggest impact, because I love that power. As we came close to the end of our talk, our attention shifted to a Television Series that is part of a grander universe; The Marvel Cinematic Universe. With there being countless blockbuster films and a growing TV presence as well, Bear has become an integral piece of the superhero puzzle. I wanted to know what it meant for him to enter such a well-established institution, and how he is leaving his own unique impression. Agents of S.H.I.E.L.D is a particularly challenging show to score because it takes place in the superhero world, so bring to that all the expectations, because we’ve all seen those movies. But inherently, it’s a character drama, a thriller, and that’s what makes the show exciting. There are of course some fantastic action sequences, especially in the most recent finale that just aired, which had some of the best fight scenes I’ve ever scored. But what makes the show great is the twists and turns, the betrayals, the relationships, and so I find that focusing on those makes it more effective. We all know how brilliant Bear can be with character drama, so I was wondering what it was like to let loose sometimes with grandiose themes and just plain flamboyant fun. It’s a really joyous experience because I have a superhero-sized orchestra to record with every week, so I get to do the big action blasts, the heroic brass fanfares, but I also get to apply all of those resources to the character moments as well, to the moments of emotion, and to moments that are quiet and introspective. That’s really interesting to me, because I think in the long run it will make ‘Agents of S.H.I.E.L.D’ stand out from the rest of the Marvel Cinematic Universe. It has a different kind of approach than the films have. They are huge ambitious spectacles, which is why we love them, but it’s great fun because I get to do a little bit of both on the show; I get to do the spectacle and the character drama, and that’s a great experience. To end our wonderful and enlightening talk, I shared my excitement of where he was taking the series musically, as well as the many other series and projects he is working on, which makes me wonder if we should change the idiom; busy as a bee, to busy as a bear. I’m really excited too because there’s finally a soundtrack album for ‘Agents of S.H.I.E.L.D’ that will be coming out in the near future. I think fans will finally have a chance to hear in detail all of the themes and the lushness of the orchestra. And they’ll get to experience that separate from the show and I’m really excited about that. I think it’s going to be one of the best records I’ve done. The Score album will be released on September 4th by ‘Hollywood Records,’ and I for one am very much looking forward to enjoying the incredible music outside of the show as well. 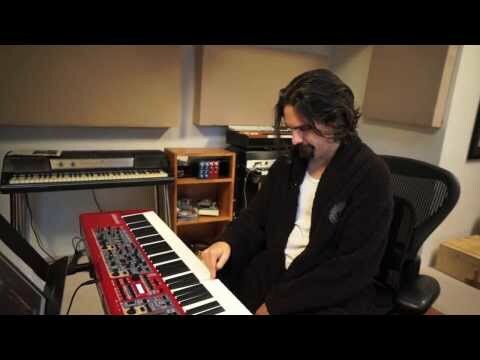 And so that was the end of my time with Bear McCreary; the genius of many talents. I would like to thank Bear as both a fan of the Films and Television shows he Composes for, and also as a fan of him personally. It is always a special thing when you can spend time talking about the things you really enjoy with someone you admire greatly. 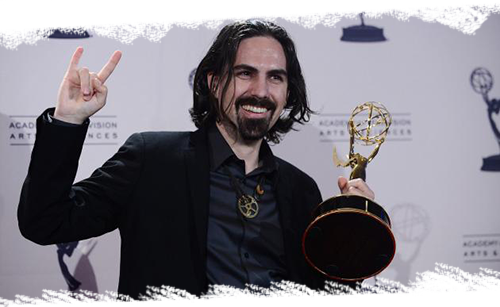 You can find out more about Bear McCreary and his music on his Official Website. You can purchase his Agents of S.H.I.E.L.D. soundtrack via ITunes and Amazon and pre-order the physical release here. You can also explore the many years of behind the scenes videos he has created for the countless things he has worked on, here on his Official Youtube page. Film and Television Score enthusiast. Podcast Host at Bombad Radio. World traveller.